Graham Neil Yallop (born 7 October 1952) is a former cricketer who played for Victoria and Australia. He captained Australia briefly during the tumultuous era of World Series Cricket (WSC) in the late 1970s. 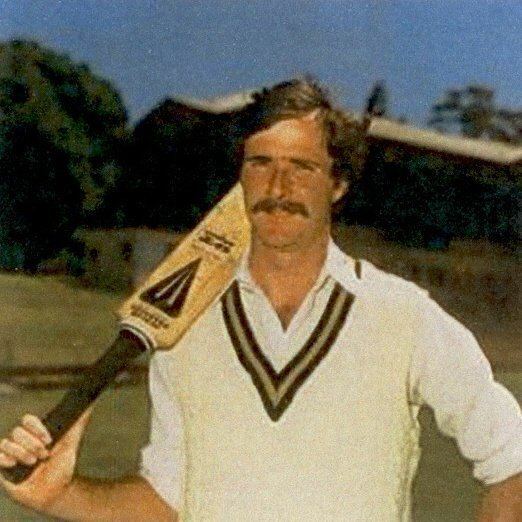 A technically correct left-handed batsman, Yallop invariably batted near the top of the order for Australia during a stop-start international career that began in 1975–76 against the West Indies. In 1978, Yallop made history as the first player to wear a full helmet in a Test match. He also enjoyed a long and successful career with his home state Victoria, leading them to two Sheffield Shield titles. Yallop played for Richmond in the Dowling Shield in the late 1960s. He made his grade debut for the club in 1970-71. In 1971 he topped the averages for the Australian Schoolboys Cricket Council as they toured Sri Lanka. He made his first class debut in December 1972, making 55 and 21 for Victoria against NSW. His next game, also against NSW, saw him score 15 and 5. Then there was 19 and 58 against Western Australia. In 1973 he played for Walsall in the Birmingham League. He also played some games for the Marylebone Cricket Club. Yallop did not play first class cricket during the 1973-74 season. However he was back in the Victorian side over the 1974-75 summer. He played in the Gillette Cup, scoring 2 then made 32 and 48 against Western Australia., 34 and 30 against the touring English side, 21 and 0 against New South Wales, 0 against Queensland 56 and 77 against New South Wales, 23 and 57 against South Australia, and 11 and 38 against WA before making his debut century against South Australia. He ended the season with 5 and 4 against Queensland. In 1975 he played in England and scored more than 3,000 runs for North Birmingham Club. Yallop begun the 1975-76 season slowly. He made 38 in a Gillette Cup game then failed against Queensland making 20 and 8 against the 1975–76 West Indians and 21 and 6 against WA. Things turned around with 79 and 62 against South Australia then 108 and 95 against NSW. These matches earned him selection in the Australian side to play the West Indies in the fourth test. He was picked to replace Rick McCosker who had made 20 runs in six innings. "Its a great thrill and I'm determined to make the most of my chance", said Yallop. The dropping of McCosker angered Ian Chappell and his teammates and I copped the brunt of it. I may have been an unassuming guy at the time, but I was rudely awakened to the facts of life at test level - thanks, or rather no thanks to Chappell and the rest of the team. I was not exactly welcomed with open arms into the team. In fact, I was lucky to discover my locker in the Australian dressing rooms. To top it off, Chappell figured that if I was selected to replace McCosker, that's exactly what I would do... at Number 3. I suppose you could say it was an honour to bat ahead of Ian and Greg Chappell in a test. But I have no doubts that certain members of that team wanted me to fail and therefore prove that the selectors had erred. Normally, a new batsman could expect to be cradled into the side and be 'hidden' down the order until he gets the feel of the test atmosphere. There was no such deal for me. I was thrown into the deep end, to sink or swim, and that will live in my memory forever. While I am captain of a team, no batsman will be given the shoddy treatment I received on my test debut. Yallop made 16 and 16 not out in his debut. He scored 17 against Queensland for Victoria. Yallop had a much better second test, making 47 and 43, taking part in century partnerships in each innings. 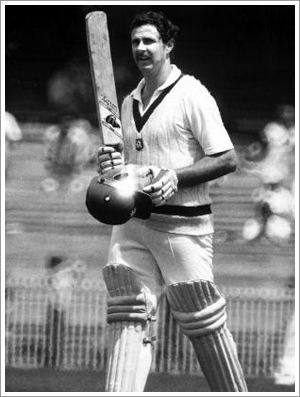 Rick McCosker returned to the side for the six test at number three, but Yallop kept his place - batting down the order at number six he made 57. He averaged 44 for three tests. Yallop ended the summer with 24 and 7 against NSW, and 77 and 13 against South Australia. He made 524 runs for Victoria at an average of 47.63, their best performing batsman. I don't feel he's made enough runs off the Melbourne ground to prove he has the goods. I wasn't very impressed when he decided to pull out of Vicotira's game against WA in Perth this season. If I was Yallop, on the verge of the test side being announced, I would have played even with a broken arm. And I still maintain that Yallop was picked prematurely for Australia. At the end of the summer good form from Craig Serjeant saw him take the last batsman's spot on the 1977 Ashes tour. In Gillette Cup games he scored 16 and 16. Yallop's chances at resuming his test career increased when a large number of Australian players were unavailable due to signing with World Series Cricket and Bob Simpson came out of retirement to captain the side. Yallop's three tests against the West Indies made him one of the more internationally experienced batsmen available for selection. India were touring, and Yallop was renowned as one of the country's best players of spin. In addition, he took over captaincy of the Victorian side from Richie Robinson, who had signe with WSC. However Yallop started the summer patchily again: 35 and 14 against Queensland, 61 and 9 against India, and 1 against Tasmania. He was overlooked for the first test in favour of Paul Hibbert, Gary Cosier, David Ogilvie, Craig Sergeant, Peter Toohey and Kim Hughes (12th man). Yallop made 105 and 114 against NSW but was overlooked for the next three tests. He made 35 and 48 against South Australia, 79 against NSW, 53 and 30 against WA. In one day games he made 9. Eventually Yallop was picked for the fifth test and then for the subsequent tour of the West Indies, as vice captain. Yallop promptly hit 121 in the first innings, his first Test century; he made 24 in the second, helping Australia win the match and the series. Yallop's first game in the West Indies was against Leeward Islands, where he made 24 and 28. He only made 12 in the first one-day international but showed good form making 66 and 44 not out against Trinidad. Yallop made 2 and 81 in Australia's first test. He scored 47 and 14 in the second. Yallop scored 118 against Guyana in Bridgetown but was retired hurt after a bouncer from Colin Croft fractured his jaw. This meant he missed the third test. Yallop returned for the second ODI, making 7 and the fourth test making 75 and 18. He made 5 and 58 against Jamaica. In the last he scored 57 and 23 not our. Yallop's series total was 317 runs at 45.29, one of Australia's best performers on tour. At the beginning of the 1978-79 series, Australian Cricket Board (ACB) decided that the veteran incumbent Bobby Simpson could not be guaranteed the captaincy for the season. Simpson decided to retire and Australia needed a new captain. Yallop was the only member of the current Australian XI with regular captaincy experience. According to Christian Ryan, "Most observers suspected John Inverarity, wily and versatile, would have been a more astute choice. So it proved." However the selectors did not have faith in Inverarity as a test level player. Yallop was appointed instead. The unprepared and unsupported Yallop made a naïve prediction before the series when he said that his team would win 6–0. Yallop was "bewildered" when his "flippant" prediction was reported straight-faced by the media and taken seriously by the English players. Yallop led a heavily inexperienced side into the first test, although he did have Queensland captain John Maclean as his vice captain. Yallop made 7 and 102, almost batting Australia to a winning position. Scores of 100 and 48 against NSW renewed his confidence. He only made 3 and 3 in the second test but his 41 and 16 proved crucial in Australia's third test win. In the 4th test he made 44 and 1, a test Australia came close to winning. After 43 against WA the 5th game saw him score 0 and 36 and 121 and 17 in the last. His 121 in the sixth Test at Sydney was a lone masterpiece as the team scored a meagre total of 198 and the second top score was 16. Yallop later said this was his greatest test innings. In the one day internationals that summer Yallop made 31, and 25. In his account of the 1978-79 Ashes series, The Ashes Retained, England captain Mike Brearley reported that the English players nicknamed Yallop "Banzai" because of his tendency to adopt suicidally attacking fields at all times, when on occasion a more defensive approach may have prevented the England team's free scoring. Yallop once had Australia's two spinners open the bowling. Yallop led the team in a Test against Pakistan just weeks later and lost again, scoring 25 and 8. He injured himself in a club match, which forced him out of the second (and last) Test in the series; he was replaced by Jeff Moss as batsman and Kim Hughes as captain. Australia finally reversed their losing streak in that game under Hughes. This prompted the selectors to drop Yallop as captain in favour of Hughes permanently when Yallop returned from injury. I should be bitter, but I am not. Disappointed, yes, because after so many heartbreaks this was a rather ruthless end. I was the fall guy, the player who carried the ACB flag all summer against all the odds. I had to cop it sweet then, and I had to cop my dismissal the same way... We were lambs to the slaughter anyway. Besides or own cricketing shortcomings, we were forced o play on wickets that suited the Englishmen and were alien to us; we copped the bad end of umpiring decisions to a damning degree throughout the Ashes series and we were crucified by media in many quarters from beginning to end. All this, combined with the talented opposition which was expected to whitewash us anyway, was just too much. The hurt that remains is that I tried so hard, and so did the young, raw team that took on so much despite all the ods. My name is now eternally entrenched in the cords books as the man who led this country to that ignominious hiding against England. There were chapter headings such as "Sacked", "The First Killing", "Skinned Alive", and "Slaughtered". 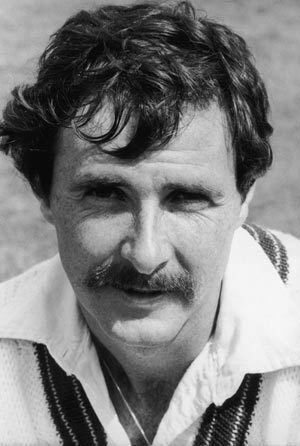 Yallop kept his place in the team after losing the captaincy, playing in the 1979 World Cup and all 6 tests in the tour of India in late 1979, the last tests before the WSC reunification. He had a bad World Cup with scores of 10, 37 and 13. He had a decent tour of India. He made 83 in the first game against North Zone. and 56 against South Zone. In the first two tests he only made 18 and 2, and 12 and 6. Against Central Zone he made 21 and 40 not out, the latter after being promoted to opener. The third test saw him make 89 and 15 the 4th 21 and 25. Against East Zone he scored 81 and 21 (also wicketkeeping). Promoted to opener for the 5th test he made 167 and 4. He followed this with 60 and 4 for the last test. Yallop, with 423 runs at 38, was Australia's best performing batsman on the trip after Alan Border and Kim Hughes. At the end of 1979 the WSC split ended, and Yallop lost his place in the test team (Hughes, Border and Hogg were the only "establishment" players to keep their spots). However he was kept on as captain of Victoria despite the return of Richie Robinson. He had a moderate 1979-80 summer badly, scoring 0 and 2 against WA, 0 and 49 against South Australia, 51 and 22 against NSW, 55 and 22 against WA and 65 against Qld. In Gillette Cup games he made 51, 36 and 41. He did play a one-day international, making 11 against the West Indies. Yallop regained his place for the 1980 tour of Pakistan. After 46 in the first tour game he was promoted to opener for the first test and made 12 and 16. In the second test he batted down the order and made 172. He scored3 and 34 in the third. Yallop kept his spot in the side for the 1980 Tour of England. He made 45 against Hampshire, 0 and 1 against Surrey, 26 against Lancashire, 13 and 21 against Nottinghamshire. He was picked to play in the one test on that tour, the Centenary Test at Lords but he only made 2. He made 0 in the first ODI and 52 in the second. While on tour he resigned as captain of Victoria. "I am resigning because I would like to continue to play for Australia as long as I possibly can, and I want to put all. my efforts into playing cricket for Australia",' he said in a statement. "I feel I couldn't justify being Victorian captain and giving the wholehearted effort required, while still giving my best efforts." Yallop was not picked for Australia over the 1980-81 summer. He began the domestic season slowly and did not find form until the middle of the summer. He made scores of 33 and 40, 7, 59 and 51 (against New Zealand), 7 and 5, 13, 10 and 25, 121 and 2, 52 and 70, 0 and 64 (against India), 28 and 21 and 122 and 66. In one day games he made 1, 22, and 3. His place in the Australian middle order was effectively taken by Doug Walters over the summer. However he was picked on the 1981 tour of England. Yallop made 25 and 13 in a tour game against Sri Lanka and 2 and 46 in one day games. In tour games Yallop made 9, 49, 0, and 16 and 52. He made 52 in the first ODI, 63 in the second and 48 in the third. Yallop was picked to play in the first test. He made only 13 and 6. He made 45 against Kent then 1 and 3 in the second test. After 16 against Northamptonshire he made 58 and 0 in thee famous third test. Yallop made 30 and 30 in the fourth test, 49 and 59 against Essex, 0 and 114 in the fifth test, 13 against Sussex and 26 and 35 in the last test. Much was made of Yallop's susceptibility to fast bowling because of an unusual incident on the 1981 tour of England. Skipper Kim Hughes shepherded him from Bob Willis's bowling, even though Yallop never asked him to. Commentating on the match, Richie Benaud called Hughes's actions "as curious a captaincy decision as I have ever seen". Yallop began the 1981-82 season strongly: 82 and 31 against Queensland, 46 and 3 against Tasmania, 36 and 68 against Pakistan. He was kept in the Australia side for the first test against Pakistan making 20 and 38. However he injured his back and did not play for Australia for the rest of the summer. He returned to the Victorian side making 24 and 10, 19 and 9, 55 and 7, 111 and 20 and 14 and 54. In one day state games he made 17, 28, and 13. Yallop had a golden run of form in the Sheffield Shield in 1982–83. As captain of Victoria, he made 28 and 151 against South Australia (a game famous for David Hookes' lightning fast century), 84 and 58, 8 and 47, 20 and 73, 69 and 24 (against England), 38 and 33 (against New Zealand), 15 and 38, 23 and 13, 69, 109 and 86, 18 and 168, and 246. In one day games he made 21, 21, 7, and 12. He beat Bill Ponsford's record for the most runs in a season. He was unable to force his way into the Australian side due to the strong form of Border, Hughes, Greg Chappell and David Hookes. However he earned selection on the 1983 tour of Sri Lanka. Kim Hughes did not tour Sri Lanka, opening up a spot in the batting line up. Yallop made 43 and 30 in a tour game and was picked in the test. In the one off test he made 98. In the ODIs he made 39, 59, 51 and 60 not out. Yallop had a strong World Cup. He made 2, 29, 66 not out against India, 20, 52 not out and 18. Yallop began the 1983-84 season with 77 and 23 against NSW and 91 in a one-day state game. He was picked in the first test side over David Hookes. Yallop made 141. For Victoria he made 113 and 145 against WA, then 33 in the second test. In a Victoria-Pakistan tour game, Yallop made 220. In the third test he made 68 and 14. The 4th test saw Yallop hit 268. A knock of 30 in the final test brought his series tally to an average of 92.33 in 5 tests. Yallop was picked on the 1983-84 tour of the West Indies. However he missed it due to injury in the sole one day game he played for Australia, where he made 13. Dean Jones took his place. Yallop toured India with the Australians in 1984. He made 22, 32 and 42. Yallop worked on his knee through 1984. Despite 0 and 2 in a Victoria-Queensland game and state one day games of 14, and 6 he was picked in the first test against the West Indies. In scoring 2 and 1, he looked very uncomfortable. He had a leg injury ad a knee operation which took him out of a lot of the season. He returned to first class cricket in January doing poorly against Queensland and South Australia. 58 and 125 against NSW reminded everyone of his ability and he made 51 and 22 against Tasmania and 147 and 8 against Victoria. He made 41 in a one-day game for Victoria against England. However he was not picked in the side to tour England in 1985. Yallop ended his senior cricket career in South Africa as a member of the rebel Australian team led by Kim Hughes. 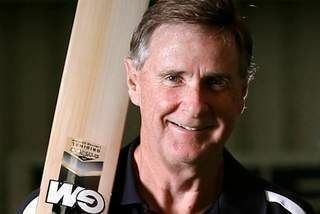 "A number of us were given the word that the selectors didn't see us as having any future as Test players," said Yallop. "We were told - quietly, of course - that our futures weren't exactly rosy. So when the approach came, we were interested." Yallop's first summer in South Africa was not successful. Vice captain to Kim Hughes he began well with tour game scores of 35 and 62, then fell away: 6, 7, and 26. In the first "test" he made 51 and 24. After 15 and 20 in a tour game he made 20 and 6 in another test. Captain Kim Hughes publicly criticised Yallop's contribution over the summer, saying "Yallop's unavailability has cost us dearly on tour. Had Yallop been fit and in the right frame of mind ... you've got to want to play. As vice-captain you've got a huge responsibility. People such as [Mick] Taylor, who had no reputations, have made one for themselves, while Yallop, who had all the reputation, has not really done anything." Yallop resigned from the vice captaincy for the second summer and performed a lot better. His first class scores were 31, 45, 96, 34 and 15, 182, 4. He made 36 and 26 in a test, then 14 and 69 against Northern Transvaal, his last first class game. After two seasons in South Africa without any great success, Yallop returned to the relative obscurity of district cricket in Melbourne, playing for the South Melbourne and Ringwood clubs. Yallop says he and his fellow rebel tourists were "shunned by the Victorian Cricket Association... We knew the VCA wouldn't pick us. It was disappointing, we could've given a lot to the game at that stage; we weren't that old. But we were certainly shunned by the association." Yallop later said he had "mixed emotions" about the tour. "Knowing now what it was like there, there were certain things they kept from us, certain things we weren't meant to see but did. But hindsight is a wonderful thing, isn't it? Certainly we enjoyed it while we were there. But reflecting on it, there's mixed emotions. Disappointing thing, politics." Yallop must carry some blame for this fickleness. Englishman Mike Brearley (his opposite number in the 1978–79 series) noted that Yallop used to "... slide his back foot to and fro in a grandmotherly shuffle ... More than most Test players, Yallop can range from the inept to the masterly." Undoubtedly, Yallop was more at home against slow bowling and was considered one of the best players of spinners during an era when few existed. Although not ideally suited to the one-day game, Yallop's ODI figures are good and he played in the World Cups of 1979 and 1983 and toured India in 1984. He was a safe fielder behind the wicket and was often positioned in the gully. Yallop averaged better than one century every five Tests and never went more than six consecutive Tests without a hundred. He also jointly holds the record for the fastest Ashes half-century, scored off 35 balls in the Old Trafford test in the 1981 series. If you were given three words to sum up the cricket career of Graham Yallop... what would you say? Australia's Lousiest Captain? Solid And Reliable? Dodgy Against Pace? A Bit Boring? There is a dollop of truth in them all. Yallop could be dull; if Dean Jones set the pulses of Melbourne grandmothers racing like a couple of shandies over lunch, then Yallop was the comforting mug of Milo who put them back to sleep. He was decidedly more at home when the spinners were on. He was also, especially at his 1983 peak, the epitome of rocklike solidity. And yes, he was a fatally flawed, forlorn captain... He was unimaginative, tactically unsophisticated and lacked the respect of his players. And because he had predicted they would win 6-0, in the dumbest press conference any Australian captain ever gave... More than anyone, Yallop suffered from the chaos of [World Series Cricket]... He was used and abused at every turn. He is not the only Australian batsman of the last 25 years to have been mistreated by selectors... But Yallop was the first, and arguably copped the rawest deal, of them all.... Graham Yallop in three words? Unlucky Uncelebrated Unmissed seem to fit best, more's the pity. 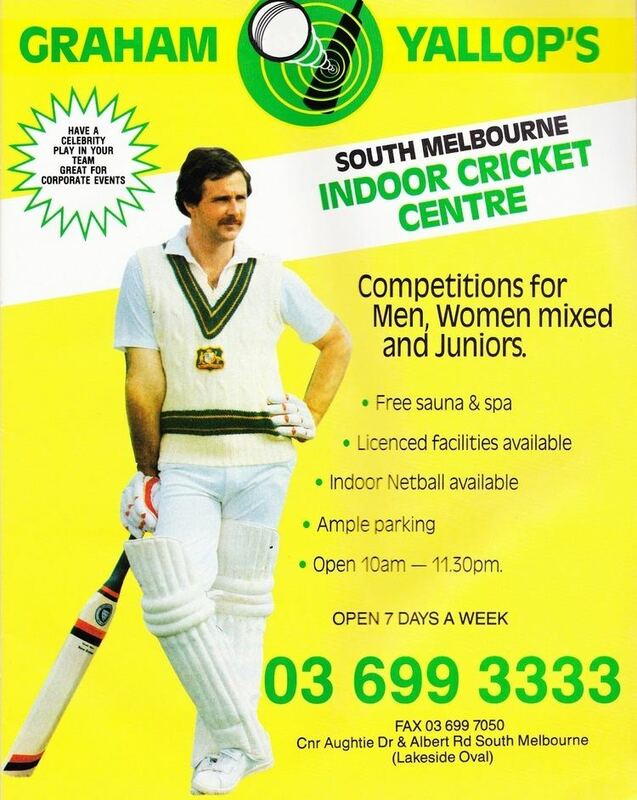 In 1989 Yallop was fined $1,000 for selling alcohol at his cricket center. In 1994 he was sacked as manager of a sports center but successfully appealed the decision. 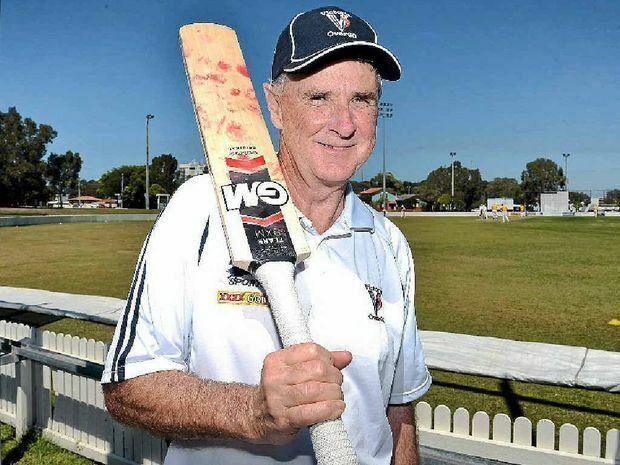 In 2014-15 Yallop was appointed chief coach of the Elwood Cricket Club.